You know when you try to do a great thing and then it all goes horribly, horribly wrong? Like picking up a cake for your friend's birthday party, only to bank a turn entirely too fast and redecorate your car's interior with buttercream? Debris embodies that to an extreme. The narratively-driven 2 player experience is out NOW on Steam for PC and Mac. This game originally launched single player back in October 2017, but the update that released today brings it into the co-op wheelhouse. The discovery of meteoric debris in the Arctic has brought your special team to this remote region with the promise of 100% pure, clean energy. Of course, given that it's a video game something utterly terrible happens and two of the members are left to both survive and solve the mystery of this bizarre force. A scenic little ocean swim-about rapidly turns into a crisis situation. And those adorable and harmless fish you've been swimming alongside? The deeper you go the less innocent and friendly they appear. Both you and your buddy's suits run on power, which is your primary resource. Collecting enough power in the murky depths is crucial to your survival. One character has a gun, the other has a light, making teamwork imperative in the darkness. On top of the obvious action/adventure mechanics, there is a heavy narrative focus and fully voiced dialogue between characters. 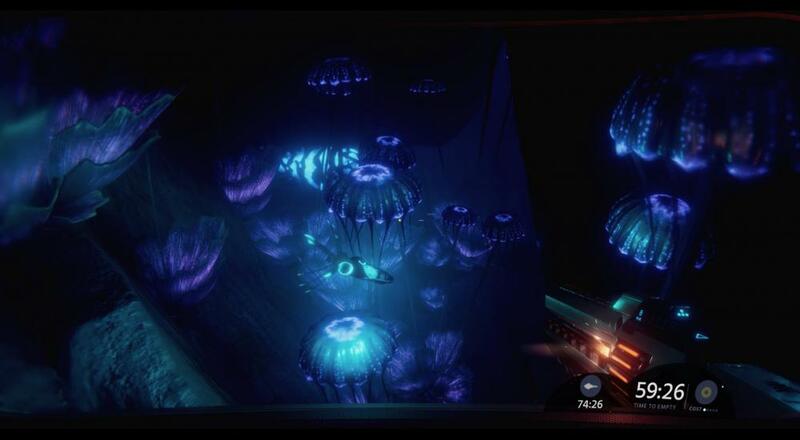 Narrative takes on co-op games are always interesting, and the surreal aquatic setting makes this one of definite interest. Debris is currently available on Steam for $9.99, 50% off normal retail price until March 5th.